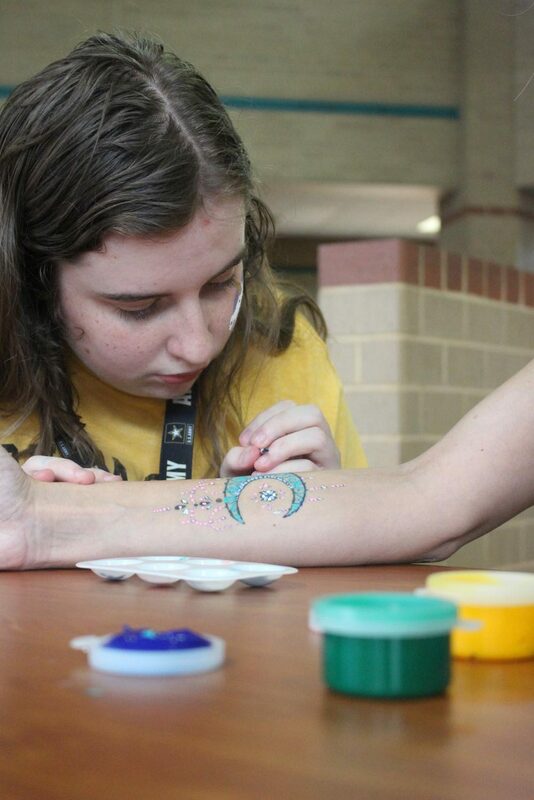 Senior Kylie Brown paints a glittery moon design. 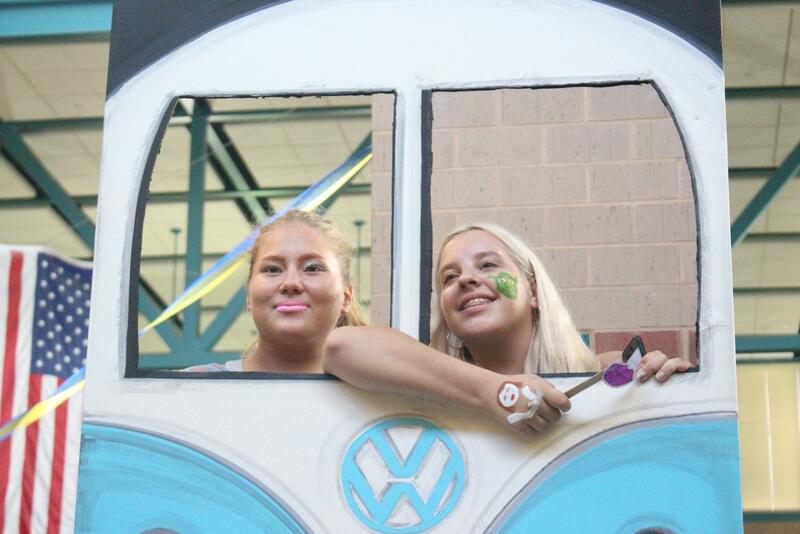 Sophomores Faith Wohler and Yana Slivka pose in a photo booth cut-out shaped like a Volkswagen camper van. 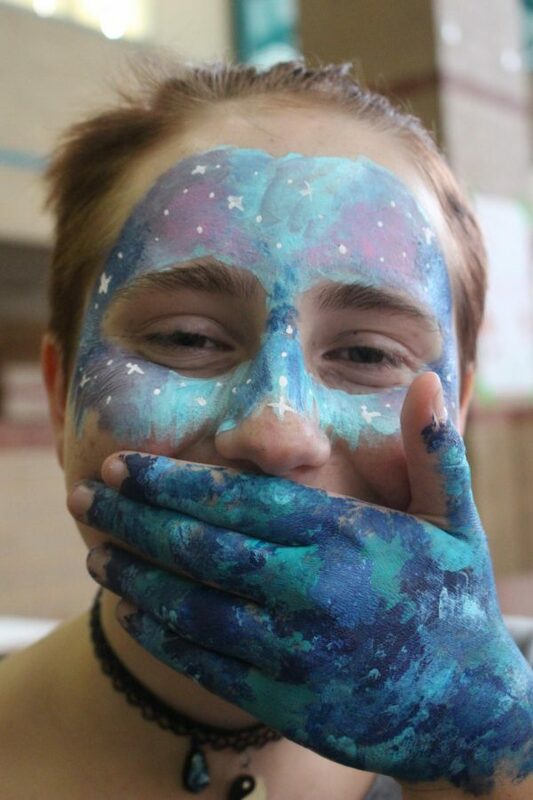 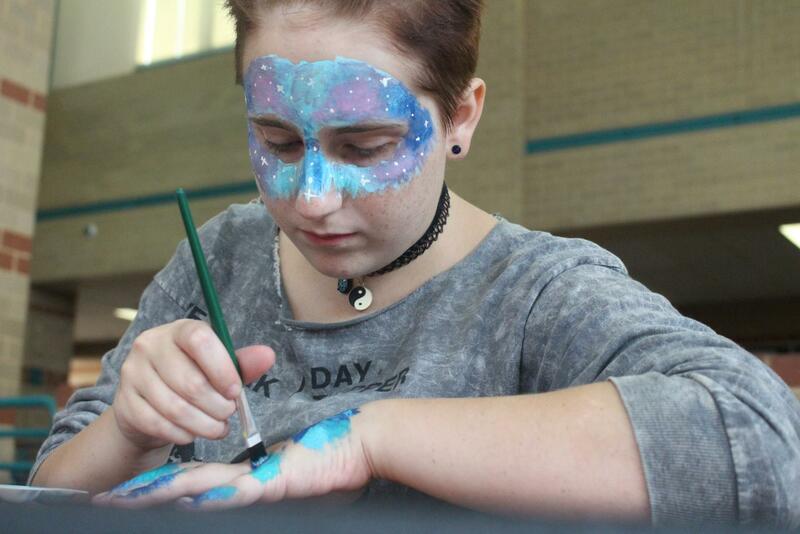 Sophomore Laural Swisher attempts to recreate her galaxy face paint on her hand. 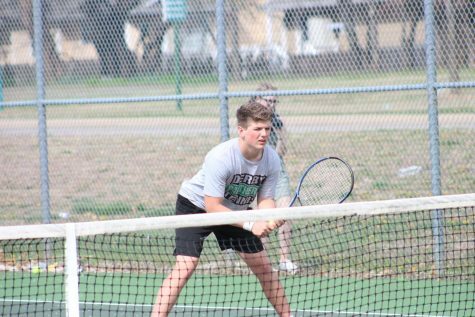 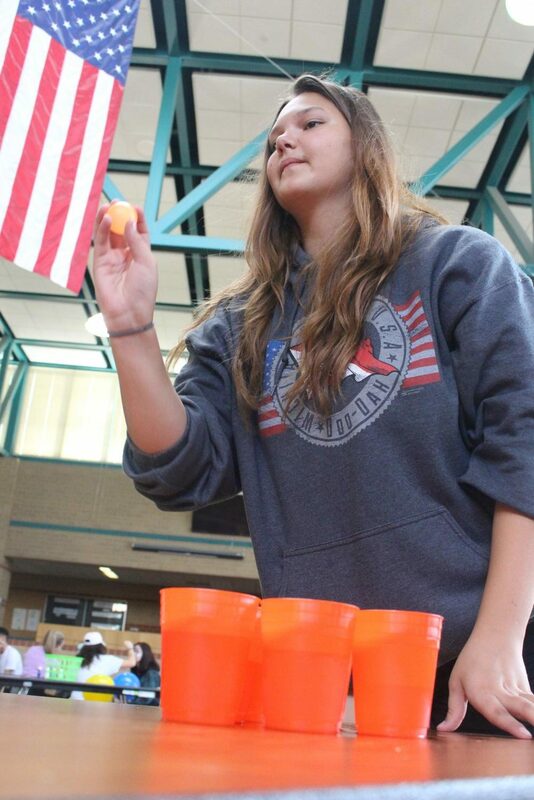 Sophomore Marrissa Layton plays cup pong. 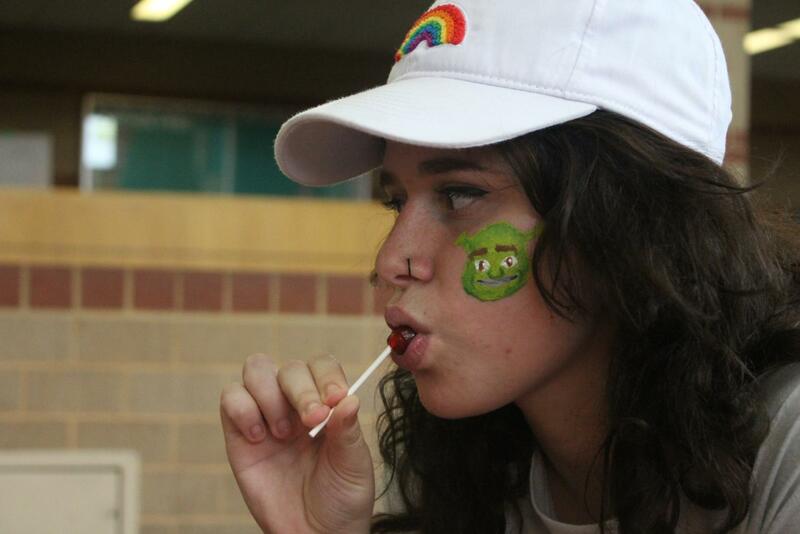 Sophomore Sadarah Barr eats a lollipop after getting her face painted. 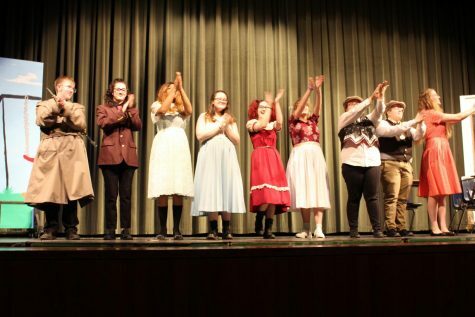 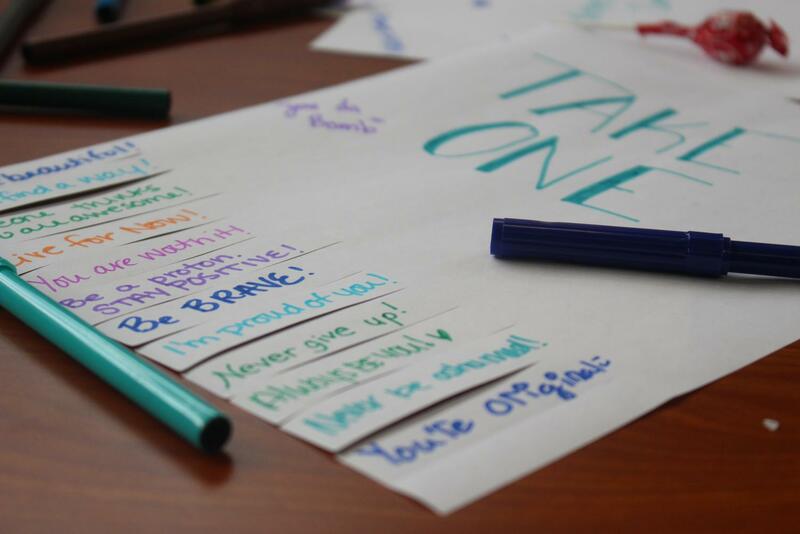 Encouraging messages were written by teachers and students for inspirational "takeaways." 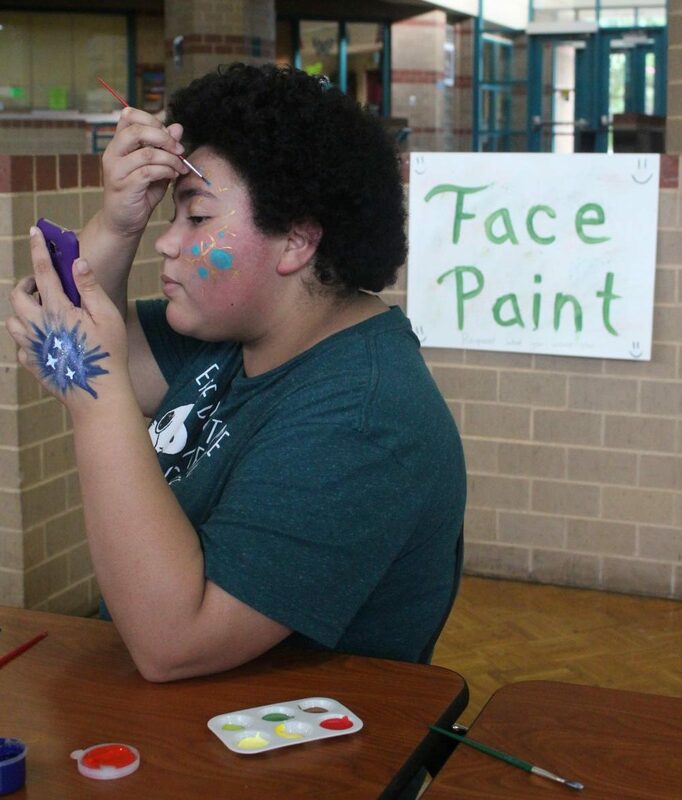 Senior Mahalia Hartfield uses her phone camera as a mirror while she paints her own face.